Two Sets of Twins by 21! Annie always wanted another baby after daughter Lillie and son Jayden were born in April 2011, so was delighted when she realised in January she was pregnant again, but she didn’t count on having two sets of twins! Annie and Rich’s joy turned to shock when they had the 12 week scan and were told they were expecting two new arrivals. Annie had managed to double her work load after giving birth to daughters Georgie and Frankiee at 21. 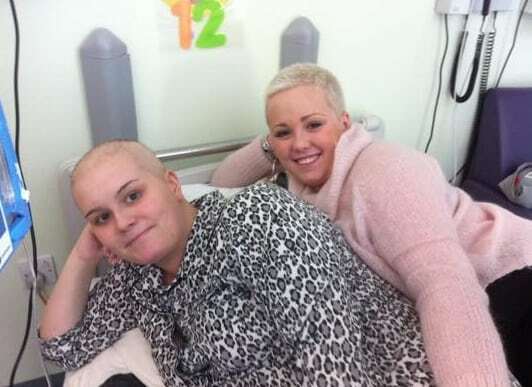 The full-time mum turned 22 just two weeks after the non-identical twins arrived just five minutes apart on September 10, making her the youngest woman in Britain to give birth to consecutive sets of twins. The Royal College of Midwives say they have not heard of anyone in the UK having two sets of consecutive twins at such an early age, which are much rarer than having a pair separated by a single baby. Annie, who now gets through 140 nappies a week, said: “I guess we are just a bit super fertile. “It’s obviously a record I never set out to achieve. I do feel blessed that my family feels absolutely complete at such a young age. “Now we’ve just got to get married. “We worked the odds out of more than 700,000 to one, just because it’s so rare to not have a ‘filler baby’ between twins. “When they told us it was not one but two babies in there we couldn’t believe it. “The shock took forever to get over. Rich went white and his jaw hit the floor. “But now they’re finally here, I wouldn’t change them for the world. “I mentally prepared myself for complete chaos at having four children under four, but luckily they are all very well-behaved – most of the time. 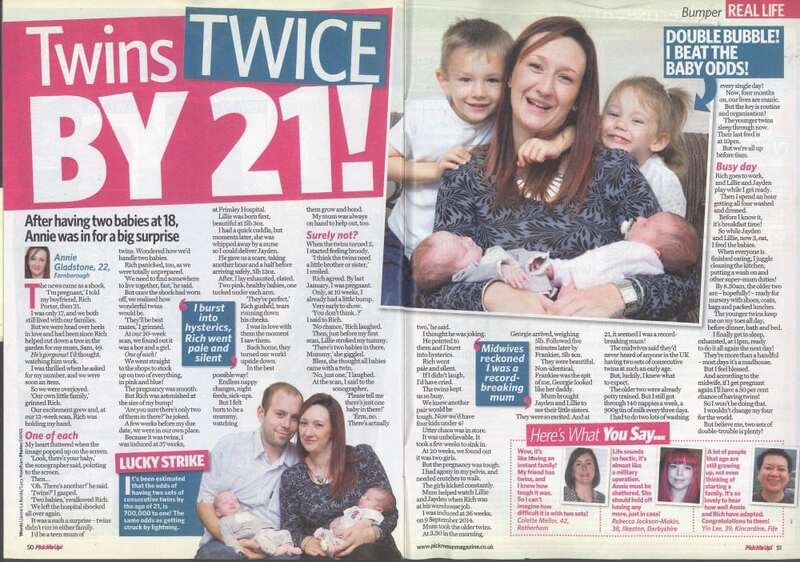 “It has actually been a help having twins before because I knew what to expect second time round.” While neither Annie or Rich are from big families, without any history of twins, their double blessing has brought them closer together. The healthy new arrivals, who like their older siblings are non-identical twins, were born just five minutes apart after a very short labour. Annie said: “The labour was very quick – just over one hour. “As soon as I saw them I fell completely in love. 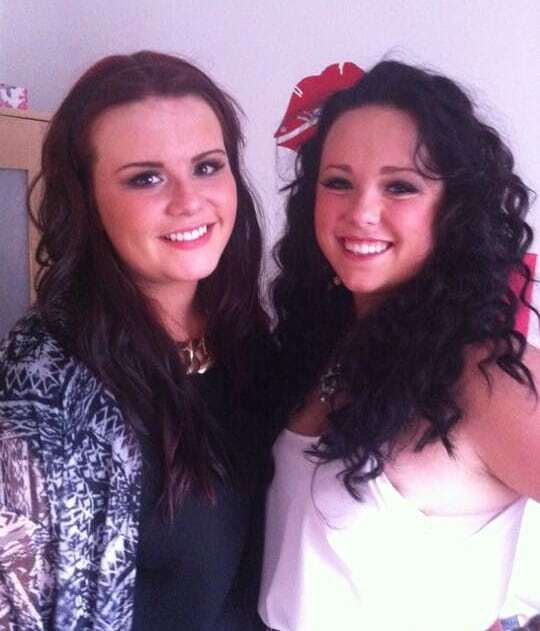 They are both absolutely gorgeous. “Frankiee looks just like Rich and Georgie looks just like me. 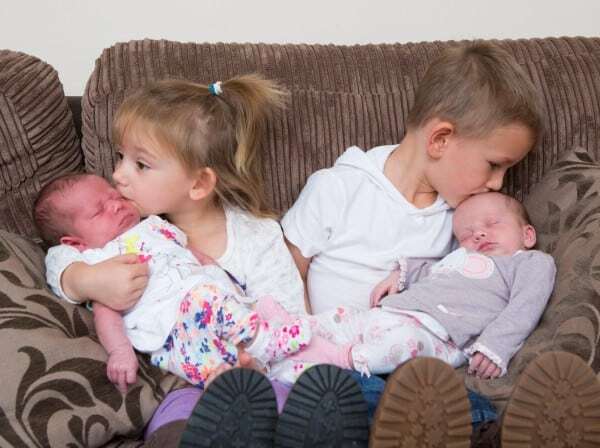 Jacque Gerrard, director for England at the Royal College of Midwives, said: “I have been a midwife for over 30 years and have never seen someone at such a young age have two sets of twins in succession like this. 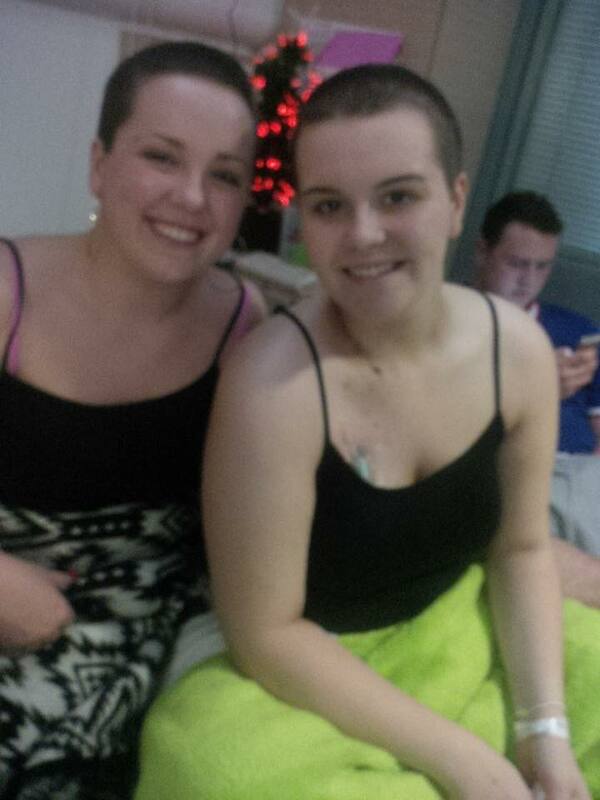 “As a mother of twins myself I know what she is going through and I wish her all the best. “Women having twins and multiple births are monitored closely throughout the pregnancy particularly when it is a teenage pregnancy. 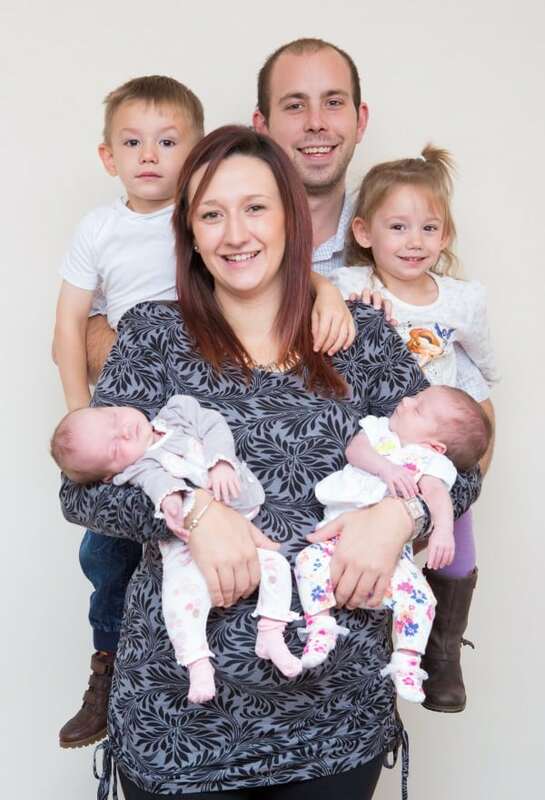 “The experience gained with her first set of twins was no doubt helpful when she gave birth second time round.” Annie’s hectic routine is seeing her get through at least 20 nappies a day, and put on at least two loads of washing. She said: “I have to follow a very structured daily routine otherwise I’d never get anything done. “We are all up before 5:45 am most mornings. “Lillie and Jayden play while I get myself ready and then I get all four of them washed and dressed which takes about an hour. “At 7am I prepare Lillie and Jayden’s breakfast and while they are eating I feed the twins. “When everyone is finished I clean the kitchen and sterilise the bottles and put a wash on. “At 8:30 the oldest two are ready with coats, shoes, bags and packed lunches ready to go to nursery. “Then I’m home alone with the girls while Rich is at work. “We put the oldest two to bed at 7pm and I finally head to bed at 11:30pm ready to do it all again the next day – though the youngest twins have me up about 3-4 times a night. “We are getting through about 20 nappies a day, 140 a week, because the eldest two aren’t in nappies any more. 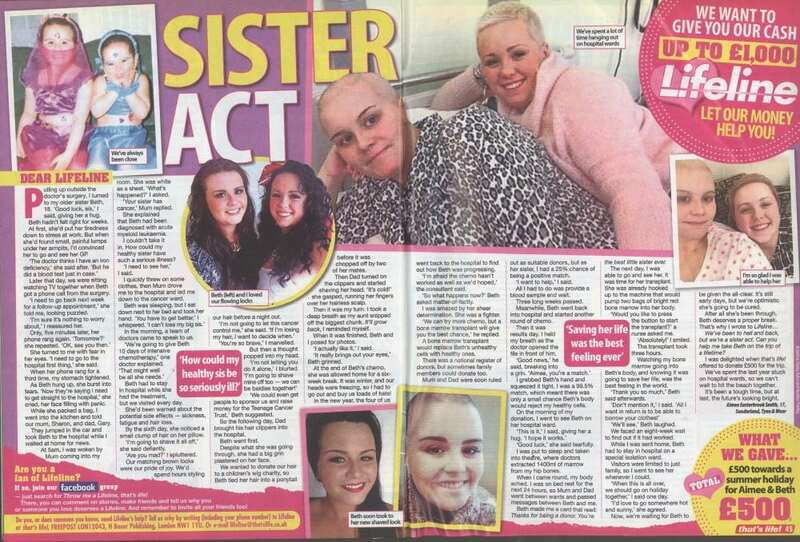 We sold Annie’s story to Pick Me Up Magazine (who bid the most for exclusive rights to print their story in the magazine). If you have a story to share, get in touch today and find out what your story is worth. Simply fill out the two minute valuation form on the right hand side of this page, or contact one of our friendly writers via our contact us page. Two sisters are celebrating after they both gave birth on the same day in the same hospital – just hours apart. Inseparable siblings Claire Jelley, 33, and Emily Mayhew, 31, were delighted when they discovered they had fallen pregnant within days of each other. 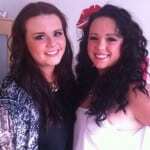 Despite there being a week between their due dates Claire and Emily promised they would support each other when they went into labour. 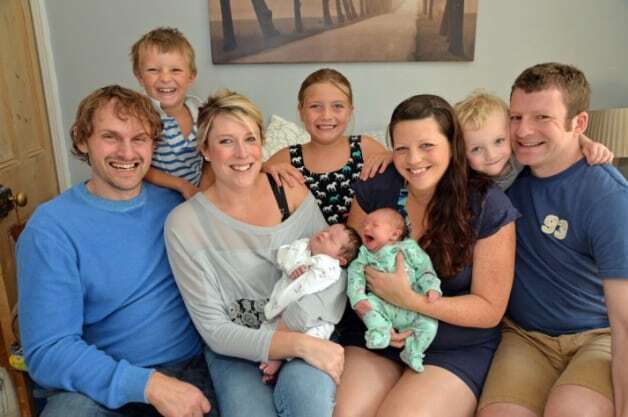 But they defied the odds of 1,000-1 when they both gave birth on the same day to healthy babies at Kettering General Hospital just hours apart on August 23. Younger sister Emily, from Great Bowden, Leics., who has two other children with partner Richard King, 39, gave birth first to son Rupert, who weighed 8lbs 13oz at 7.20am. After texting her sister encouragement, Claire was then rushed into the same hospital before giving birth to daughter Eva by caesarean section, weighing 7lbs 6oz at 4.53pm. Mum-of-three Emily added: “I look after what goes in [to Rupert] and Rich looks after what comes out at the other end. “He’s a real modern man. It was really helpful having Claire in the hospital at the same time, you know she’s always been my big sister and there for me. It made it feel really supportive, having her just directly above me. We were texting each other throughout. I still can’t believe it happened that way though. When I fell pregnant we went to tell Claire and Richard we were amazed when they told us Claire was pregnant too. 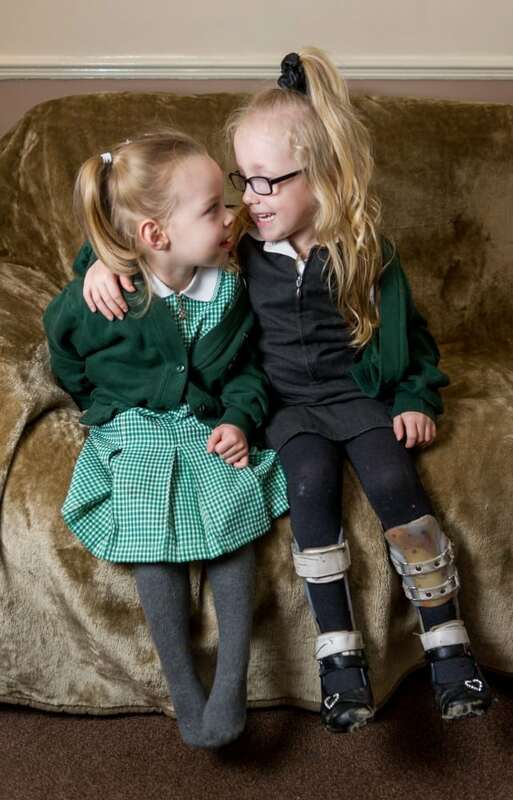 Read about inspirational children Tilly and Casey, who became best friends when they met at nursery, were both born prematurely, and both have perfectly healthy twins. Tilly’s family discovered she was eligible for a revolutionary procedure, known as Selective Dorsal Rhizotomy, just before Christmas, that would allow her to walk. They needed to raise 25,000 for the OP which they thought was impossible until pal Casey stepped in to help. 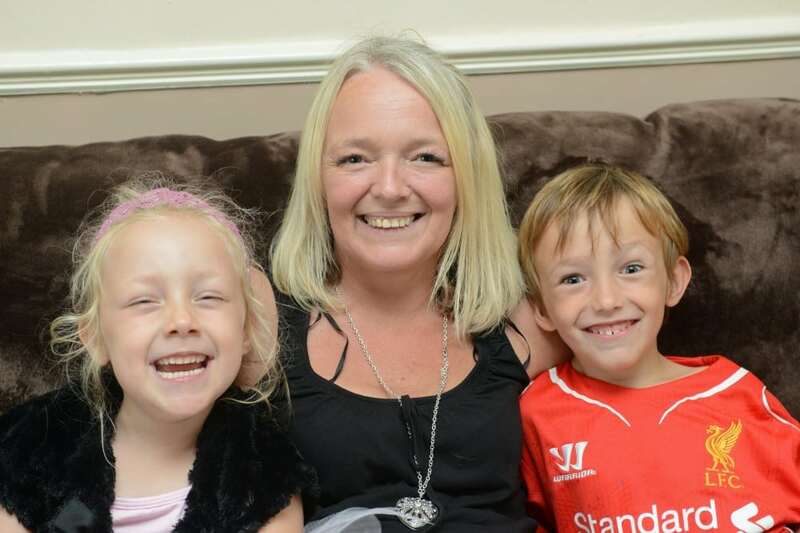 Tilly’s Selective Dorsal Rhizotomy procedure was funded by a campaign started by Casey, five, who suffers from a form of cerebral palsy that cannot be fixed by the op. 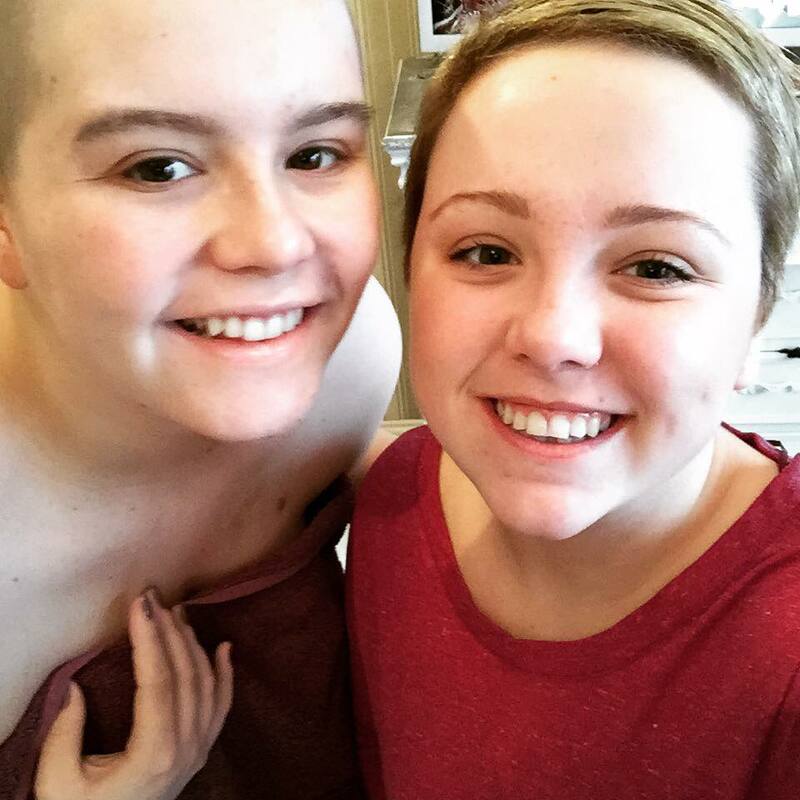 The procedure, which was carried out on May 23 at Great Ormond Street Hospital, is not currently fully available on the NHS, so cute Casey, with a little help from her mum, launched a campaign to get 25,000 people to each donate £1 to cover the cost of the pre and post-op care. The NHS pay for the operation itself but Great Ormond Street Hospital require parents to fund the expensive rehabilitation. But the ‘Walking Matilda’ campaign went viral, and raised £40,000 in a little over two days, meaning Tilly’s family have been able to pay for her operation, and donate the rest towards another little child’s operation. Mum Rachel Knowles, 41, said: “The difference is astonishing. To be told your child is never going to be able to walk unaided is something no parent should ever have to be told. But now that Tilly has had this operation, everything in our lives has improved. She’s happier than ever, and so is Matthew too. They’re forever playing out in the garden now. Tilly doesn’t get as tired, and neither do I. She still gets a bit stuck sometimes and struggles, but she’s improving all the time and it’s nowhere near as bad as it was. 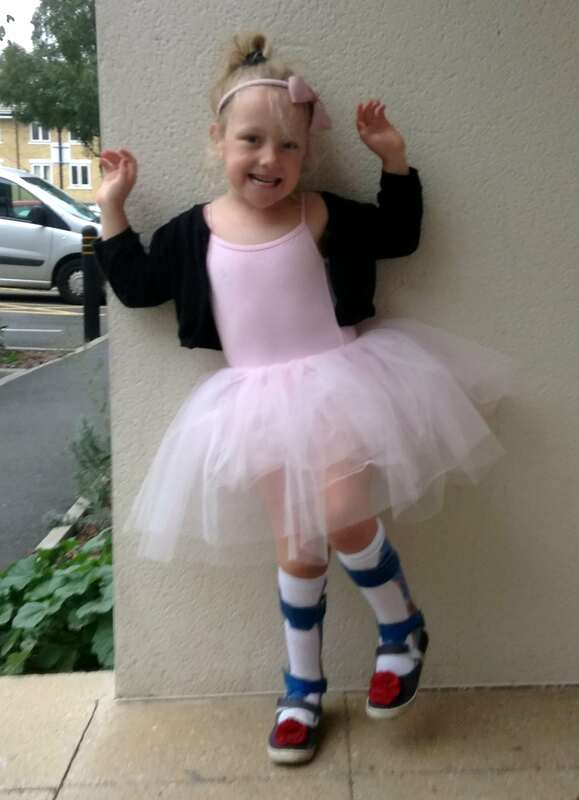 The English National Ballet School offers a range of classes and courses for children of all ages, and have offered Tilly a place in their juniors class which starts in October. If you have a story about an inspirational child, please get in touch today. We’d love to help you share your story and help you get the highest fee possible for yourself or a charity of your choice. Simply use our two minute story submission form to get your story valued. Nothing will be used without your express permission, and there is no obligation. Our service is free to you (we are paid by the national press for finding and writing news content).